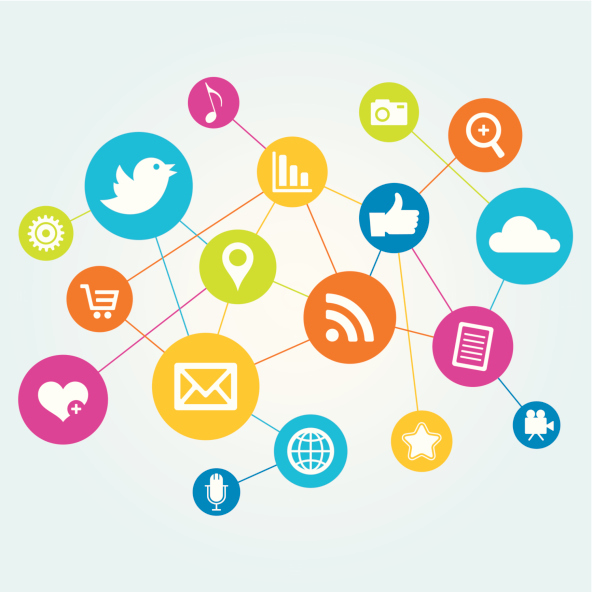 Can Your Social Media Presence Affect Your Loan Approval? Lenders learn a lot about you before they approve your loan—they examine credit histories, pay stubs, bank statements—but that might not be all they look at in the future. According to The Wall Street Journal, some lenders, mostly dealing in small-business loans, are combing through applicants’ social media accounts and status updates, tweets, and posted résumés. It might not be a simple fad. The Journal reports that FICO is looking into the possibility of using social media to determine creditworthiness. If this idea takes root, your mortgage lender might be next to peruse your Facebook profile. Setting your account to “friends only” isn’t enough to keep unwanted lenders (or anyone else) from seeing some of your social networking activity. Many of these sites update their privacy settings and terms frequently, and if you don’t keep up, you might find your personal information available for anyone to view. Bragging about playing hooky, complaining about your workload or ranting about how much you hate your boss online could come back to haunt you. If potential lenders see these posts, they may think your employment isn’t as stable as you say. If you want to discuss your job on social media, keep things positive and don’t brag about skipping out of work—even if a lender never sees it, your boss might. If you’re having financial trouble, it might be tempting to write a quick status update and crowdsource your friends and family for advice, but lenders may not have the full context. This might lead to their investigating whether it was a one-time problem or part of a pattern, and that could hurt you. You’d be better off discussing temporary setbacks with friends and family in person, and keeping the conversation offline. Your lender may check your LinkedIn profile and job search sites such as Monster to see if your online résumé matches what you submitted on your application. The catch here is that some people create a profile once and never update it again. This could lead to confusion with your lender. Before you apply for a loan, make sure all of your résumés are up to date and include your current employer and job title. You shouldn’t completely shy away from social media. If you have a strong online presence and a lot of friends or followers, that could actually help your loan application. Lenders like to see that you’re a trusted, established and well-liked person, so go forth and build your social network. If you’re self-employed or own a small business, social networking could bolster your loan application, especially if you have good reviews and high ratings. After all, if your business is doing well, your income will likely be on the rise. Update your business accounts on social networks, reach out to customers and encourage reviews across several sites to build a good reputation. What Makes a Great Mortgage Broker in Nutley? Getting a mortgage in Nutley these days can be more involved than in years past, not least because their historically low rates make them so desirable. That loan can make or break a fantastic deal — the kind of deal you don’t want to lose when you come across it! Central to the process of getting a mortgage is your mortgage broker…but how do you know when you’ve found a great one? The rules governing mortgage transactions have changed significantly in the last few years — and they were plenty complicated to begin with. Learning much of the process on the fly is part of the challenge facing brokers who are new to the field. When you are getting a mortgage in Nutley, if you suspect yours will be anything other than a straightforward process, it may be best to look past a newly licensed broker. An easy way to learn how much experience your broker has is to inquire about his work experience over the last 10 years. Getting a mortgage in Nutley can be complicated, but it’s often decisive for your real estate transaction. I’ll be happy to introduce you to some of my proven local favorites. It’s one way we’ll be ready to go when we find you the perfect house!